"As a fourth-generation of Montana homesteaders, I’ve always felt that the region where I grew up holds enough history to keep a writer trying to understand it for years." Mary Clearman Blew’s first memoir, All But the Waltz: A Memoir of Five Generations in the Life of a Montana Family, was published by Viking in 1991, and she has written other notable memoirs of life in the West, including Balsamroot (2001) and This is Not the Ivy League (2011). These, combined with her short story collections Runaway (1990), Sister Coyote: Montana Stories (2000), and Lambing Out and Other Stories (2001), have earned Blew a lifetime Distinguished Achievement Award from the Western Literature Association. 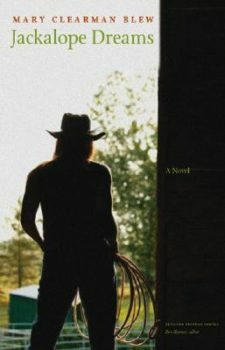 But among Blew’s many books, only Jackalope Dreams (University of Nebraska Press, 2008) has been a novel. 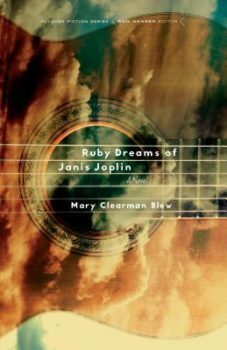 This September she has a second novel, Ruby Dreams of Janis Joplin, also out from Nebraska as part of its Flyover Fiction series. While much of Blew’s writing has focused on what we might call the “Old West”—looking back on family history in All But the Waltz, for instance—Ruby Dreams unfolds in a “New West” Montana that feels scrubbed of its frontier past. Its protagonist, Ruby Gervais, is a foster child from the small Montana town of Versailles (pronounced Ver-Sails by its residents, as her name is pronounced “Jarvis”), who runs off at age sixteen to be a singer with a country folk band. After the band implodes a decade later, Ruby returns to Versailles wounded in body and spirit, only to find herself a pariah in the one place she might still call her own. As Ruby struggles to work out her own sense of belonging, she unwittingly helps others to find their sense of belonging—and helps the place itself to begin coming to terms with its own rough recent history, in which she and her policeman stepfather played a significant role. 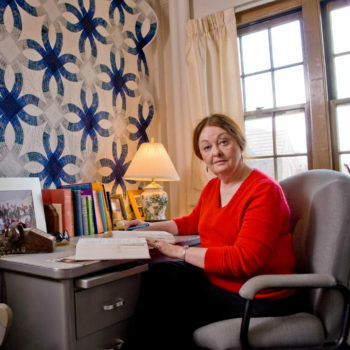 We conversed via email with the whole of Montana between us—I in South Dakota and Blew in Idaho, where she is Professor Emerita at the University of Idaho after over two decades teaching in its creative writing MFA program. 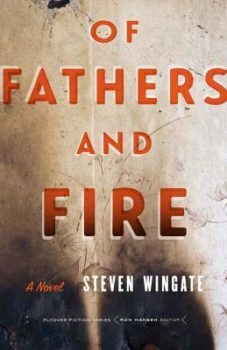 Steven Wingate: What is your relationship with the novel form? Has it always been on your mind, or is it something you only occasionally visit? Mary Clearman Blew: I began, as most hopeful undergraduate writers do, writing short fiction. I completed a traditional PhD in Renaissance drama—no, I don’t have an MFA degree—taught four-class loads for a number of years at Northern Montana College, and moved over to Idaho to teach four-class loads at Lewis-Clark State College. I was hired at the University of Idaho to help set up their MFA program in creative writing, where I taught until I retired in 2015. Meanwhile, I raised four children, most of the time as a single mother. Yes, I’ve always had novel-writing in mind, but when I think back on my earlier attempts at the novel, I think I never had time and space to concentrate on the novel’s many strands. Short fiction and the personal essay, on the other hand, I could fit into scraps of time and return to without losing track of what it was I was interested in. I taught one last graduate class at Idaho in the spring of 2016, turned in my grades, went home, and wrote a first draft of Ruby in thirty days. It was like my favorite Hemingway quotation: “The thing about a first draft is having one.” Ruby went through revision after revision and fine-tuning before being accepted by Nebraska, but I’m still amazed at my burst of creativity. It was an experience hard to describe, like nothing I’d ever felt, turning out 3,000 plus words a day and, if I wasn’t at the computer, fantasizing the next scene. And I didn’t stop with Ruby. By fall of 2016, I had completed drafts of two more novels, one of which has been accepted at Nebraska and the other of which I have high hopes for. How did this happen? Was it the stimulation of that last graduate class I taught? Was it the freedom from parenting? I don’t know. I’m just glad I experienced it. Jackalope Dreams dealt with some meaty chunks of Western mythos: ranchers, cowboys; traditional (and confining) social roles. In Ruby Dreams, that mythos felt either backgrounded or pulsing through the novel in ways I didn’t see. Did you feel an engagement with those “big myths” in the new book, or did you have other fish to fry in it? My beginning questions about Ruby, in Ruby Dreams of Janis Joplin, were very different. I had been thinking about the Wenatchee, Washington, witch trials of the mid-1990s when children were coaxed or coerced into testifying that they had been sexually abused during Satanic rituals. How would these children be marked by their experiences, and what would they see in themselves and their communities when they looked back as adults? Ruby, of course, experiences the West very differently from Corey Henry. While Corey’s West is heavy on the legends, the reenactments, the living up to what we once were (weren’t we? ), if not exactly urban, Ruby has grown up on paved streets and knows the countryside from a car window. Ruby’s West, after she runs off with the Idaho Rivermen, is the West of Jackson Hole glitz and somebody-done-somebody-wrong lyrics. She returns to an exhausted West where the elk end up as wallpaper design, the antelope as salami, and the Indians as bronze statues and hood ornaments. Early on in the novel, Ruby reflects on the girl who left Versailles a decade ago and notes that “that girl never came back.” In Ruby Dreams, you write about Montana—where your next novel is also set—though you’ve been away from it for awhile. How does being absent from a place where you felt belonging change your attitude toward that place, and what role does writing play in your relationship with it? Interesting that you should ask me that. I’ve lived in Idaho for many years now, have written about Idaho in personal essays, and set some short fiction in Idaho—see my collection Sister Coyote. The draft of Ruby Dreams of Janis Joplin that the University of Nebraska Press accepted for publication was set in a town very like Lewiston, Idaho, at the confluence of the two great rivers, the Snake and the Clearwater. Then my Nebraska editor, who had loved the novel immediately, asked if I could possibly make “a bit” of a change in the setting by moving it to Montana to make it eligible for the Flyover Fiction series. I did, with some regret for Idaho and its rivers. Writing for me has always been an act of discovering my own thoughts and emotional responses, whatever the setting. However, since Ruby I’ve written two more novels, the first under contract at Nebraska and both set in Montana. In these novels—one set in 1975 and one in 1925—I interrogate Montana and the West through the choices my characters make, taking up questions of race and gender in the novel set in 1975, The Revisionist Historian, and questions of race, religious conflict, and immigration in the novel set in 1925, Waltzing Montana. These are issues that have affected five generations of my family in Montana as well as myself in ways I still find painful but have eased with time and distance. At one point Ruby reminisces: “I’m six years old, and emptiness is all I know.” When she leaves Versailles, she finds further emptiness in Idaho and eventually Alaska. How does emptiness shape Ruby, and how does it shape the spirit of flyover country? Wallace Stegner, in his memoir of his boyhood on a Saskatchewan homestead, Wolf Willow, writes about the emptiness of vast prairie space and the need he and others felt to leave their mark, however insignificant, on that space. Ruby Gervais’s emptiness reflects her childhood abuse and abandonment, her longing for love, and her embrace of country music as the only voice she has. Through her music, she grows and gains strength to make friends and find family connections. As for how emptiness shapes the spirit of flyover country, the answer is going to vary according to the race and gender of the person being shaped. As the descendent of white settlers, my experience has been far closer to Ruby Gervais’s than that of the title character in James Welch’s The Death of Jim Loney, whose emptiness is existential and despairing at the loss of his culture and his inability to replace it. I think of a story a former student, a Montana Gros Ventre, told me of a tribal medicine man who performed one last cleansing ceremony for returning WWII veterans and burned his medicine bag, because he knew of no one who could follow in his tradition. There’s a lot of time traveling in this book—moving back and forth between narratives that unfold in different timelines. Ruby even refers to her own absent daydreaming as time travel. What went into you finding the proper balance between the present and various layers of the past? As you were writing, how did you know when you had the right mix or the wrong one? I’ve frustrated a lot of students when they’ve asked me questions like these and my answer has been, “You won’t know until you try. If what you try doesn’t work, try something else.” In truth there are no formulas, and my practice is to get a passage on the page and see if it works. However, I do think the movement back and forth between narratives in Ruby Dreams reflects the action of my own woolgathering wandering mind. Memories of memories return to me in flashes like strips of film that are out of context and without beginnings or endings. My task in tracing the passage of Ruby’s flashes is to select and arrange them in an order which characterizes Ruby and shows her emerging from an almost catatonic state, where her body has taken over from her conscious mind, to her gradual retrieval of old memories and a new understanding. This last sentence sounds awfully pretentious to me. In trying to explain my technique, I’m offering an interpretation. But in fact, the mind can go anywhere. It can wander into dreams, look forward to the future or dread it, take a twenty-year leap back in time, relive moments—and giving Ruby the explanation of time travel is a way of warning the reader that she’s going to be somewhere else in time and place, and not to worry, because she’ll be back, and it’s safe to go with her. 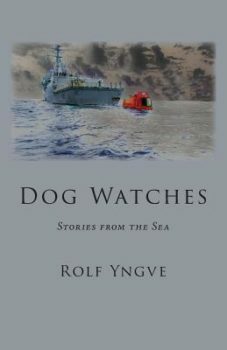 The novel is written in present tense—including Ruby’s reminiscences. Can you talk about the demands and pitfalls of that style, as well as why it felt best to tell Ruby’s dream that way? The Flyover Fiction series, with which you’ve now published two novels, is a conscious attempt to create space for Great Plains literature, which has a long and robust history even though it’s not quite as recognized as Southern literature. How do you see yourself in the context of the Great Plains literary tradition, and what do you see as the most interesting developments within it? I didn’t have the sense to write Lish back. Now I reflect that one of the many services the University of Nebraska Press through its Flyover Fiction series has provided for writers of literary fiction has been to help dispel the pejorative label of “regionalist fiction.” Twenty-five years ago, serious writers in Idaho were denying the label in any way they could. Today the climate has changed. One of my students complained, “You’re from Montana. 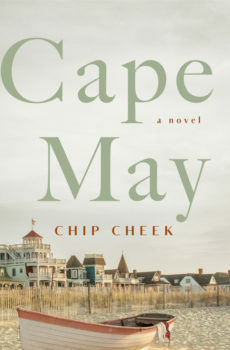 I’m just from New Jersey and I have nothing to write about.” I hope Richard Ford knows that. As a fourth-generation of Montana homesteaders, I’ve always felt that the region where I grew up holds enough history to keep a writer trying to understand it for years, and that’s not to speak of the terrain, the plant life, the wildlife, and the people who live on the Great Plains. My writing has been an ongoing attempt to understand this place and my place in it. I continue to maintain close ties with the writers of the Great Plains. As you note, Great Plains literature never has been as recognized as Southern regional literature. While the Willa Cather people argue that she was a greater writer than Ernest Hemingway (an argument I don’t accept, on grounds of stylistic innovation if no other consideration), the fact is that the Great Plains never have fostered a William Faulkner. Perhaps more to the point, the Great Plains never have fostered a Robert Penn Warren or a Cleanth Brooks to write, analyze, and promote its writers (although Leslie Fiedler tried). In Montana, at least, the most interesting developments within its literature have been our hearing the voices of Native American writers and women writers. Thirty years ago, a writer whom I will not embarrass by naming was able to publish an essay about Montana writers without naming a single woman. It would not be possible for him to write and publish that essay today. Finally, I would note that one of the pitfalls of regionalism is to exclude writers who don’t fit its confines, whether of landscape or ethnicity or politics. Must a Montana writer be born in Montana? Currently reside in Montana? Employ a Montana setting? Establishing boundaries is best employed by editors of anthologies, who by their nature must exclude so their selections can fit under one cover.